Now a safety group is calling for Ford to issue a recall. Last October, because some, such as police departments who drive the Explorer Interceptor, claim they were leaking carbon monoxide into the cabin. To Ford’s full credit, it conducted a thorough investigation but failed to find “carbon monoxide levels that exceed what people are exposed to every day.” , however, is reporting that The Center for Auto Safety is calling for Ford to recall some 1.3 million Explorers. The reason? An increasing number of complaints are claiming there’s a carbon monoxide leak. The letter, which was sent to Ford CEO Jim Hackett, claims about 1,400 Explorer drivers have sent complaints to the NHTSA regarding possible exhaust leaks. For its part, the NHTSA first opened its investigation back in July 2016. Despite the Center’s most recent request, Ford continues to say a recall is not necessary. "Explorers are safe," spokeswoman Elizabeth Weigandt said in a statement. "Ford's investigation and extensive testing has not found carbon monoxide levels that exceed what people are exposed to every day. The safety of our customers is paramount. “We encourage customers with carbon monoxide concerns to bring their vehicle to their local Ford dealer for a free service designed to reduce the concern. If they are not satisfied with the service, we encourage them to call our dedicated hotline at 888-260-5575." 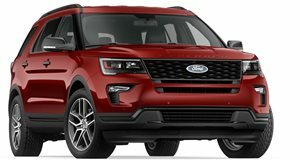 As for the issue with the police-only Explorer Interceptor, Ford claims the problem came from modifications police departments made to the SUVs after they took delivery from the factory. Again, to its credit, Ford offered to cover the costs of those repairs. For now, Ford isn’t budging but at the same time there has not been any widespread serious injuries or deaths related to this issue, hence the decision not to recall.